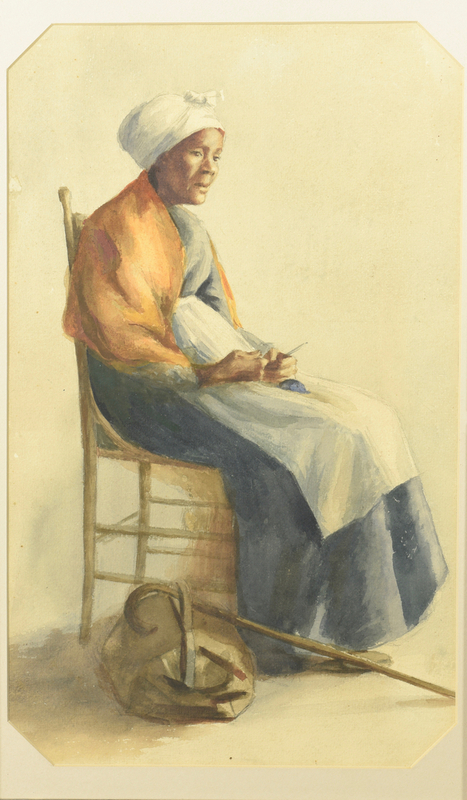 Sue Weakley watercolor portrait of African American woman wearing a turban, seated in a chair with knitting needle in hand, cane and bag at her feet. 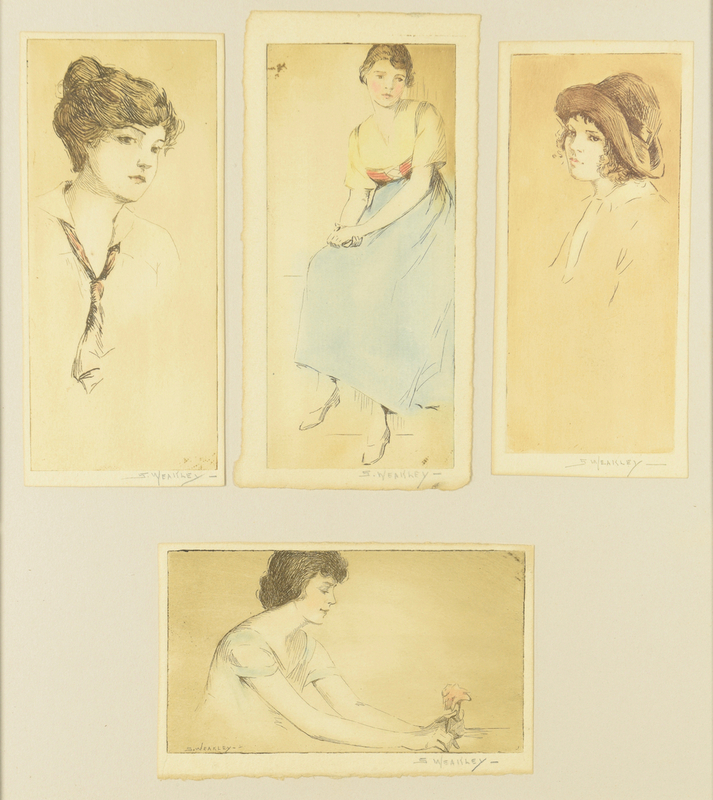 Framed along with 4 etchings of young women, all signed S. Weakley in pencil in margins. 2-part trumeau style grain painted frame. Watercolor 16 1/2" x 9 2/4" sight, etchings 6" x 2 5/8", matted and framed overall 35" x 14 5/8". 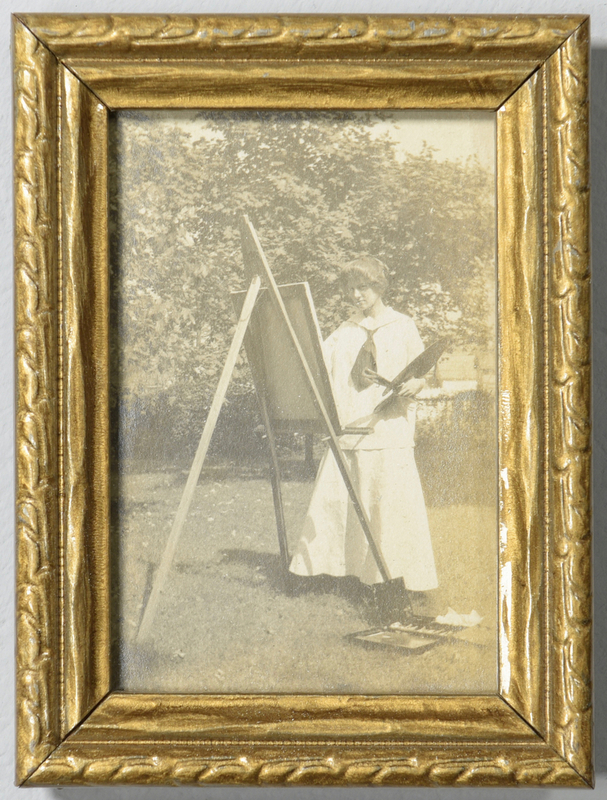 Also included is a small black and white photo of the artist at her easel, 4" x 3" framed. Note: Sue or Susie Weakley was a Nashville artist and illustrator. 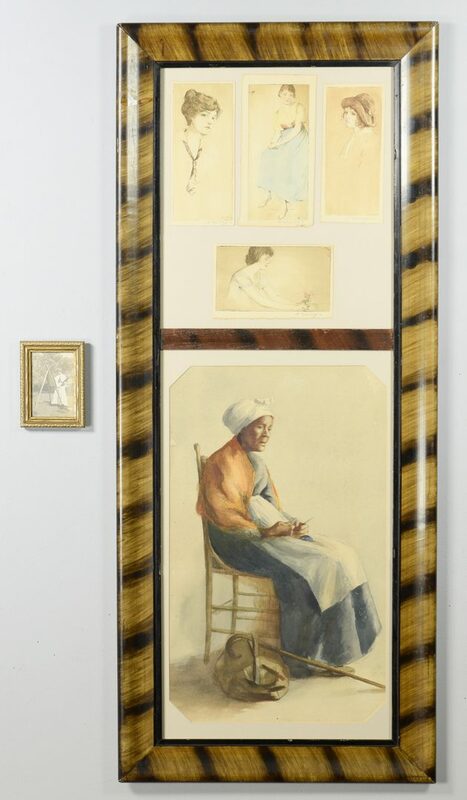 She studied art at Ward Seminary in Nashville where she was a member of the Studio Circle, and exhibited works at the Parthenon in a 1914 exhibit that also featured works by Cornelius Hankins, Washington Girard and Mayna Treanor Avent. She is also believed to have worked in the fashion industry as an illustrator and had work published in the Southern Women's Journal. Provenance: descended in the artist's family. CONDITION: Watercolor: A few discolored spots to background edges, largest 1/4". Etchings: Light toning, a few scattered minor abrasions to frame.